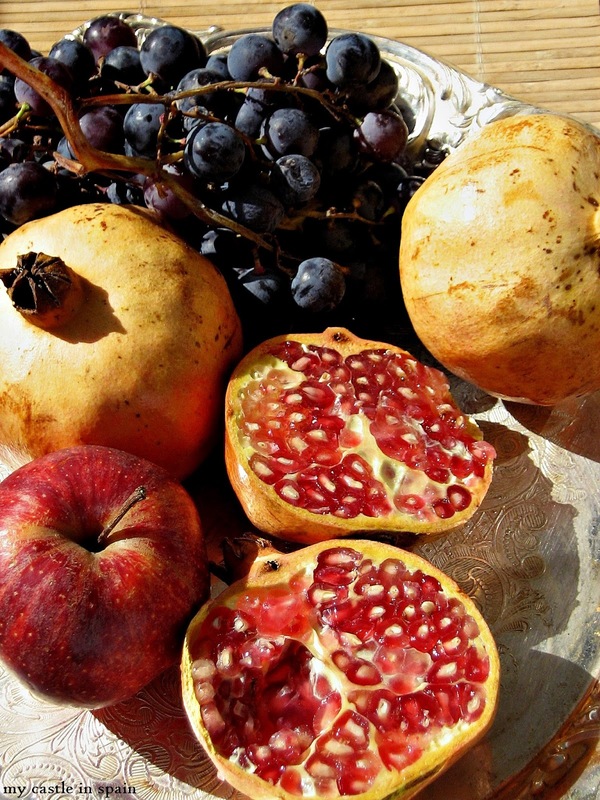 It is not Thanksgiving here in Spain ... it is Pomegranate Season! Love the photograph! I am just back from Florida and catching up. I have never seen a blond pomegranate! Happy Holidays!